Kuzma’s latest turntable is a fully modular integrated design, with an internal power supply, and spaces to mount a number of arm wings and additional arm balconies, in order to hold up to six tonearms at any one time. There are also optional decorative plinths to mount the deck and at least one arm wing. 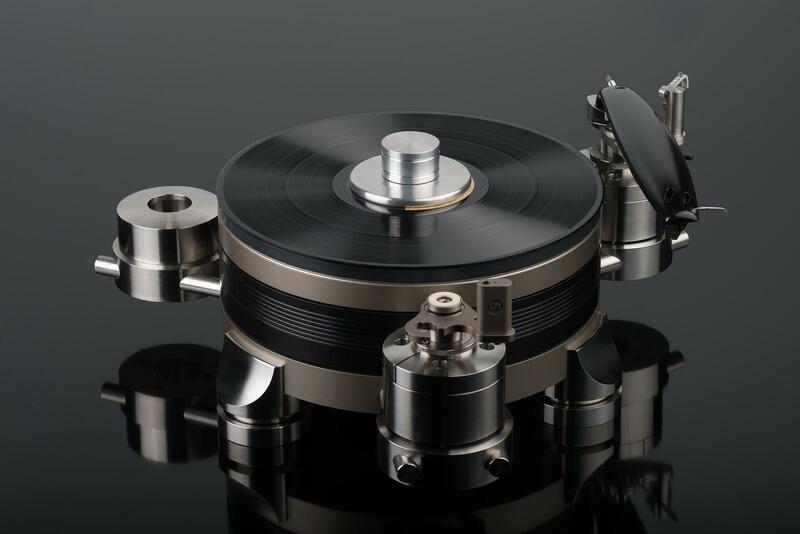 In essence, the Stabi R takes a lot of the concepts and technologies found in the larger Stabi M turntable and puts them – without attenuation – into a smaller and more flexible form. This makes the Stabi R the most affordable product in the Kuzma line to feature a DC motor. The turntable is simplicity itself to install (by turntable and especially by high-end turntable standards), but everything locks down solid like it was military-grade hardware. We thought that, “what it shares with its bigger brother is that sense of absolute confidence in its own performance. There’s a sense of order to the sound that only seems to come with a high-mass platter being driven by a DC motor with a lot of reserve in the tank. It toes the right balance between expressive and exuberant, and authoritative and dour. The control of the sound isn’t so overpowering as to make the turntable seem oppressive, and yet isn’t so free as to make it wayward.” We were particularly taken by the Stabi R’s handling of dynamic range, “Not only in the big expressive swings of a Mahler symphony, but in those quiet microdynamic interplays between musicians and the band that audiophiles love so much.” Ultimately, the Kuzma Stabi R is an impressive player in all respects. Tested with the Continuum Audio Labs Obsidian turntable (the ideal home for the Viper, and itself a strong contender for the best turntable of the year), the Viper tonearm picks up where the company’s outstanding Copperhead tonearm left off. The Viper is a unipivot with a sapphire vee jewel bearing on a hardened stainless steel pivot. Its bearing housing has been designed with the Continuum Obsidian in mind, and features extremely precise adjustments of VTA, Azimuth, and VTF (down to 0.001g increments). The exceptionally light but rigid arm tubes are easily detached and are interchangable. It uses an underslung counterweight in a set position. Changing its balance point means running through a series of different counterweight washers to ensure the geometry of the arm remains consistent. E.A.T. might be best known for its high-spec valves and (most recently) all things vinyl, but the company has – to date – only really dabbled in good cartridges. 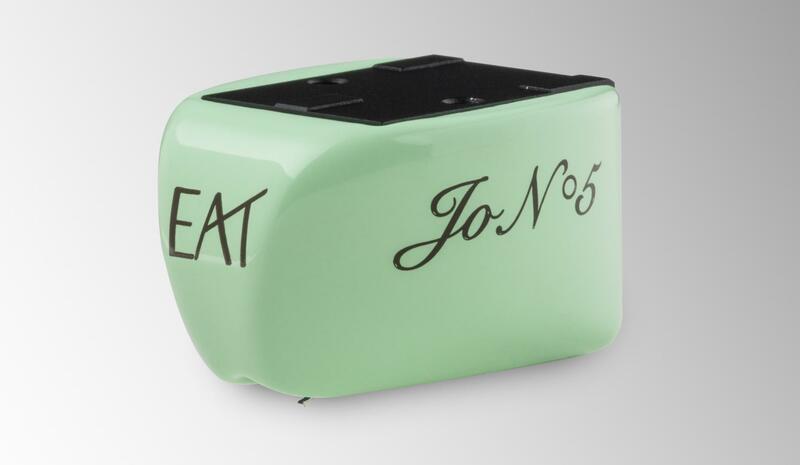 With the Jo No.5 moving coil cartridge, that looks set to change. The distinctive Jo No.5 is packaged to the nines. It comes supplied in a beautiful wooden presentation case, and E.A.T. proprietor Jozefina Lichtenegger has even gone so far as to make a limited edition 24ct gold case for the vinyl enthusiast who has everything! But perhaps most immediately identifiable is that vivid mint-green body. In fact, the colour scheme is the least significant aspect to the design, because the whole cartridge body (and its stylus guard) are custom laser sintered from powdered aluminium. In other words, this uses state-of-the-art 3D printing techniques to ‘grow’ the body from nothing. Interesting to think that a 19th Century technology like record playing can be enhanced by 21st Century manufacturing techniques. By making a body that would be functionally impossible (or at least, financially impractical) to produce by traditional means, the Jo No.5 takes internal resonance and vibration levels down to new lows... and in a device that is all about vibration, managing to reduce the ingress of external forces in that all-important task of dragging a diamond through a groove is vital. Some will simply buy it for its looks, and some will buy it as a part of an E.A.T. turntable package, but in fact the Jo No.5 is an outstanding cartridge in its own right. 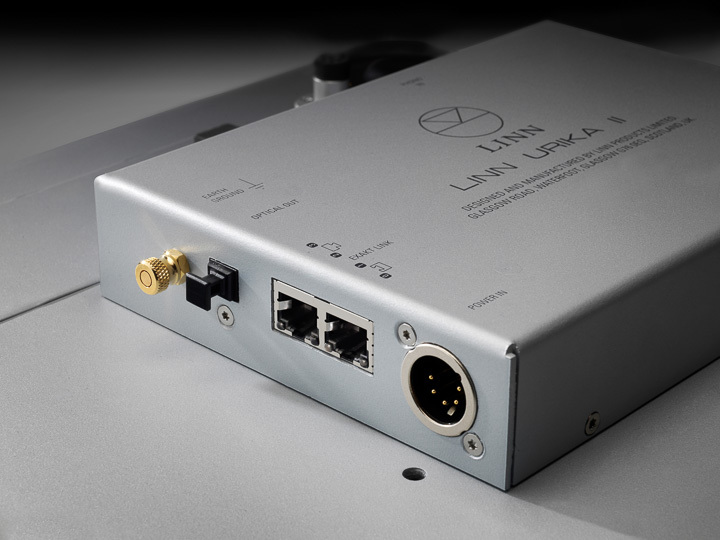 The Urika II from Linn Products is a unique phono stage for a unique turntable. The all-digital Urika II phono stage is designed to be used with the top-table Linn Sondek LP12 and no other turntable design. Powered by the Radikal supply, the Urika II phono stage is built into the Trampolin base board of the top version of the LP12. It takes a feed straight from the arm base and outputs a line-level RCA single-ended or XLR balanced output to an Linn Klimax DS preamplifier, fully digitising the input of the cartridge and applying most of the RIAA equalisation and all the rumble filter in the digital domain. The original and analogue-only Urika isn’t going away.